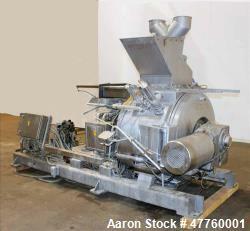 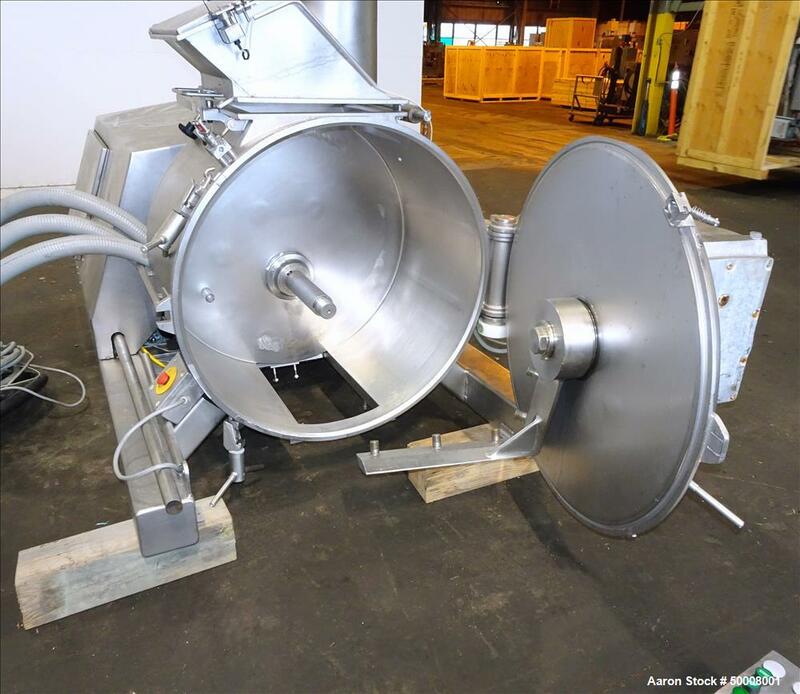 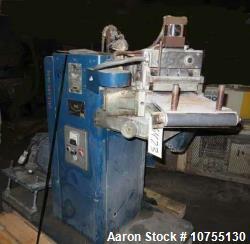 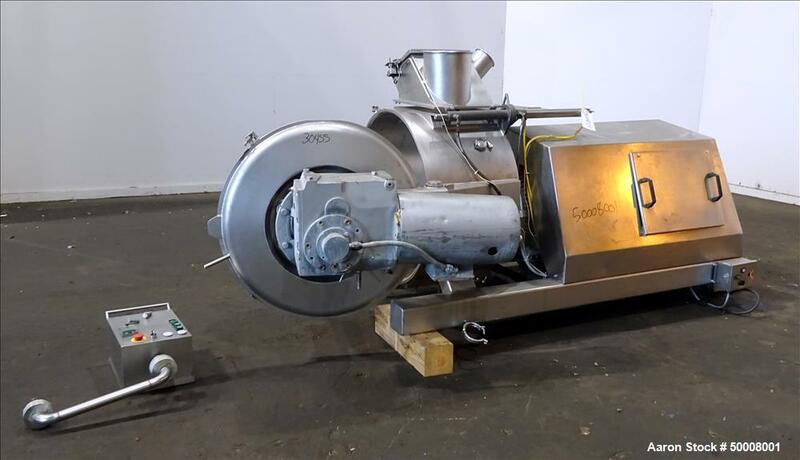 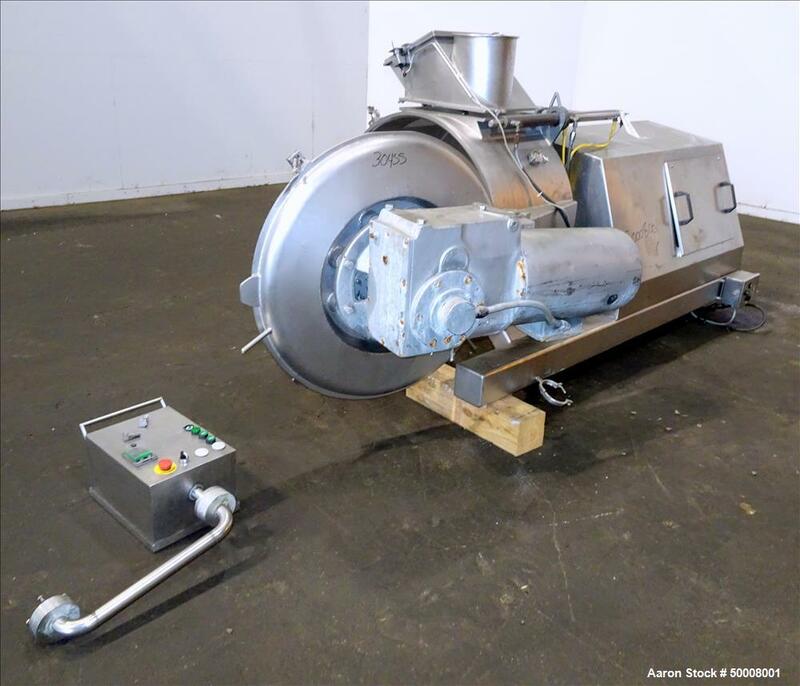 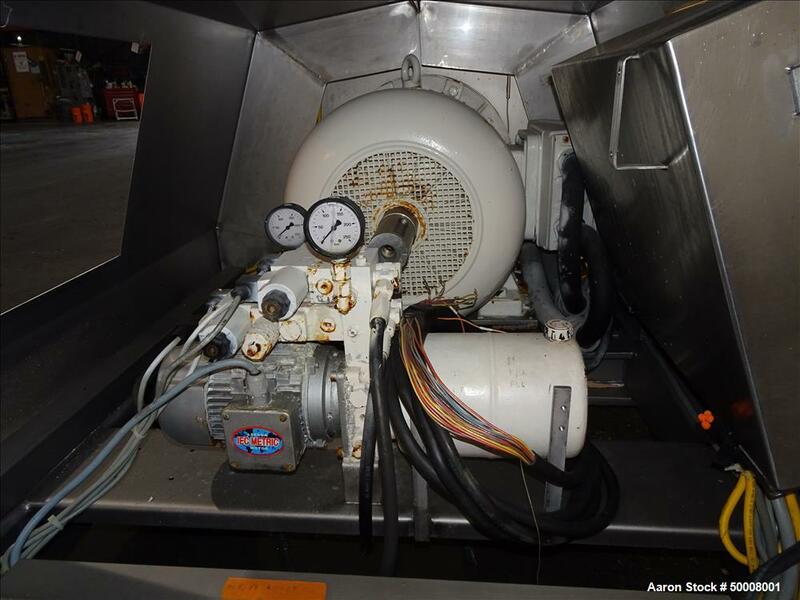 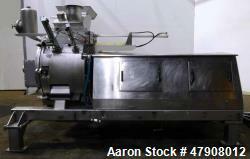 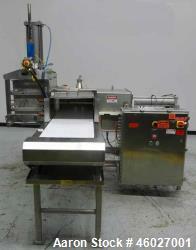 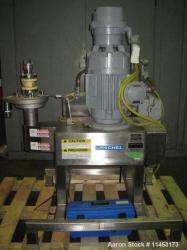 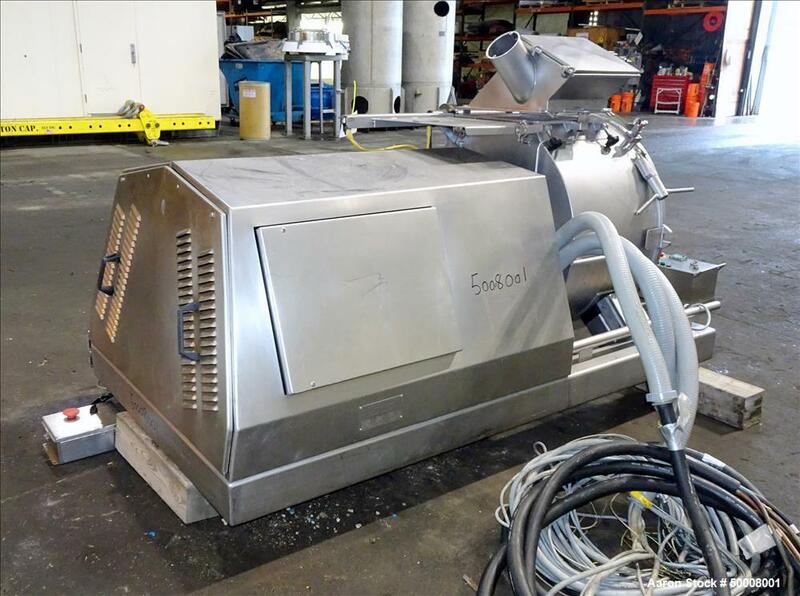 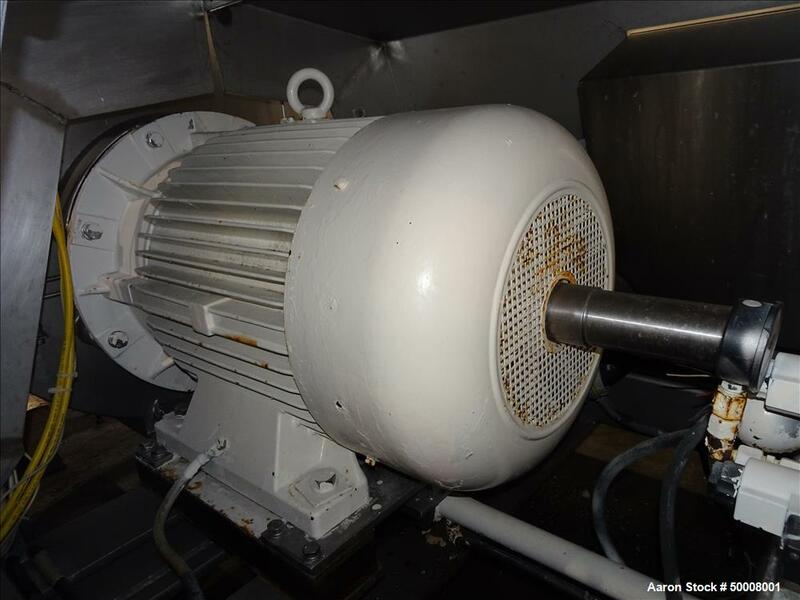 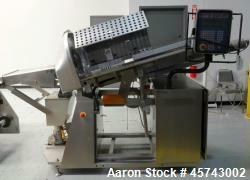 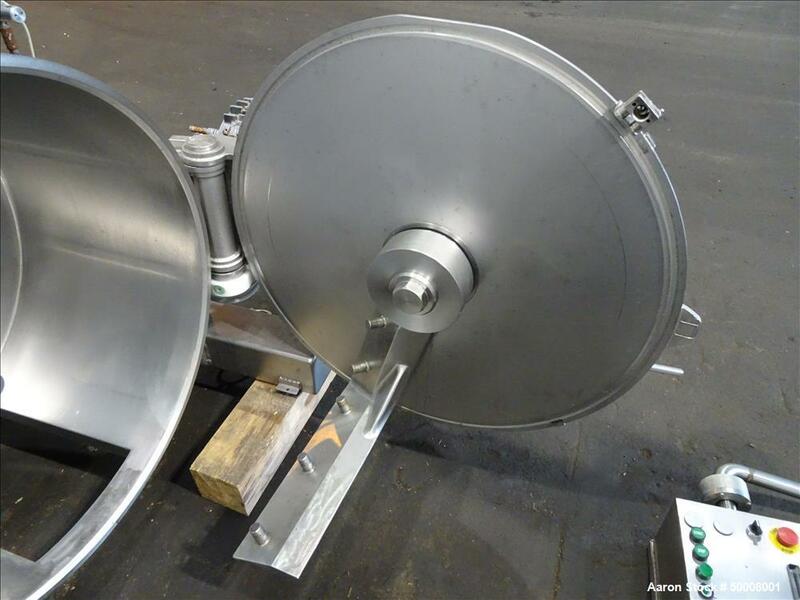 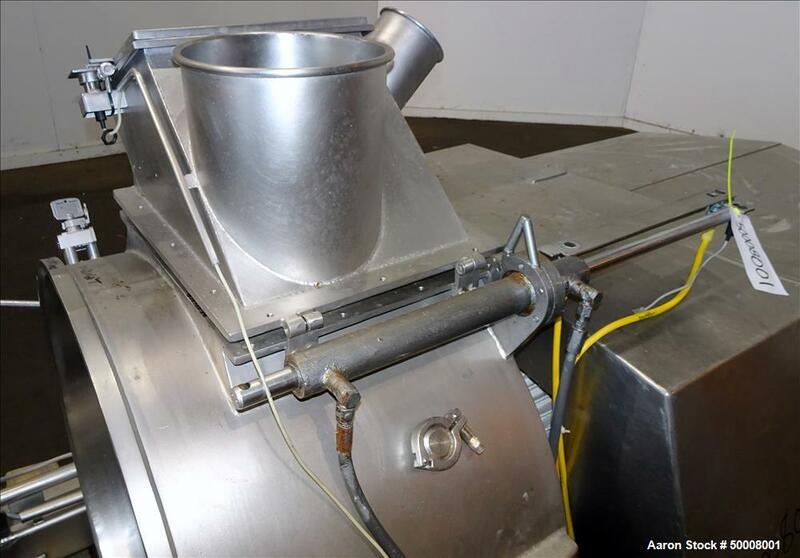 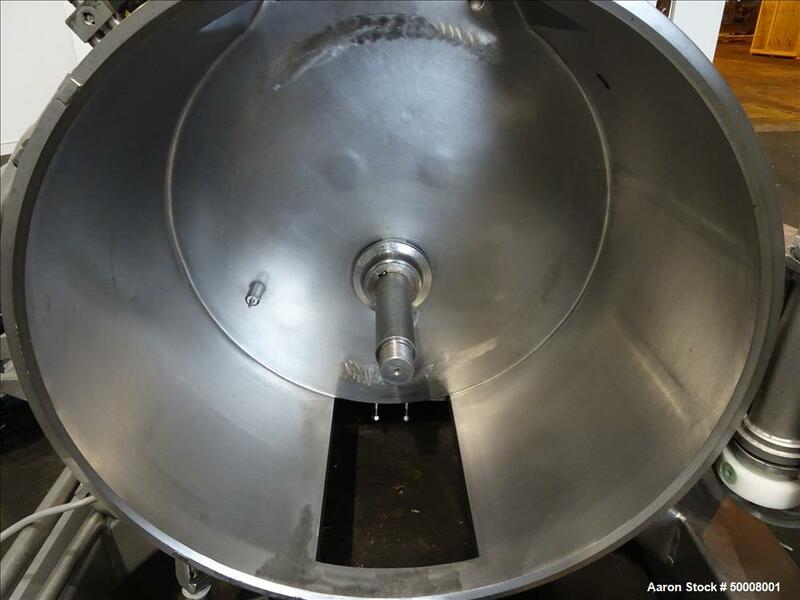 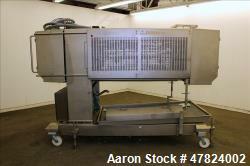 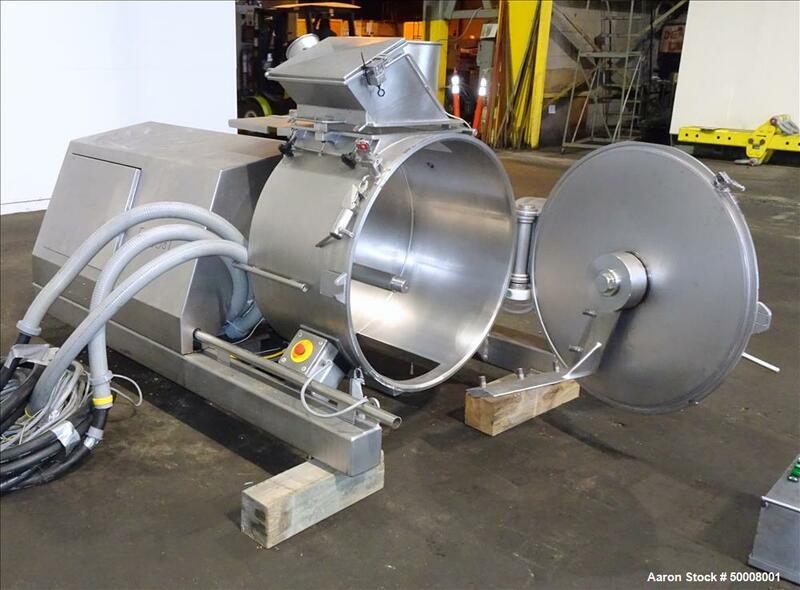 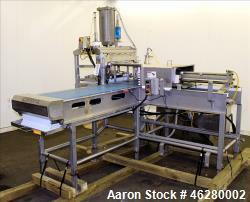 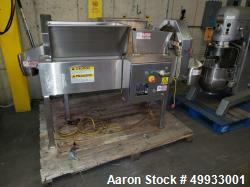 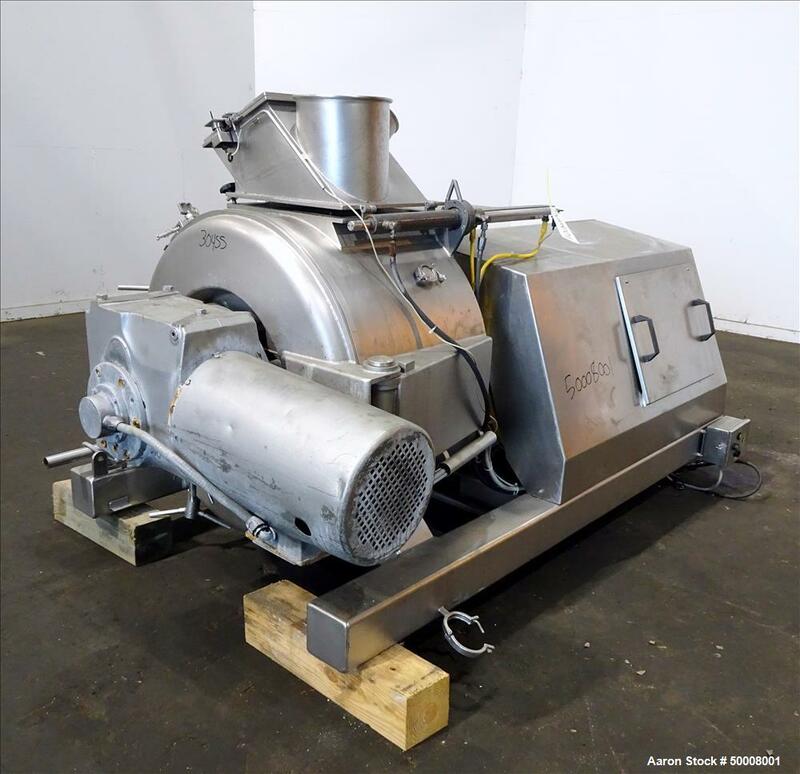 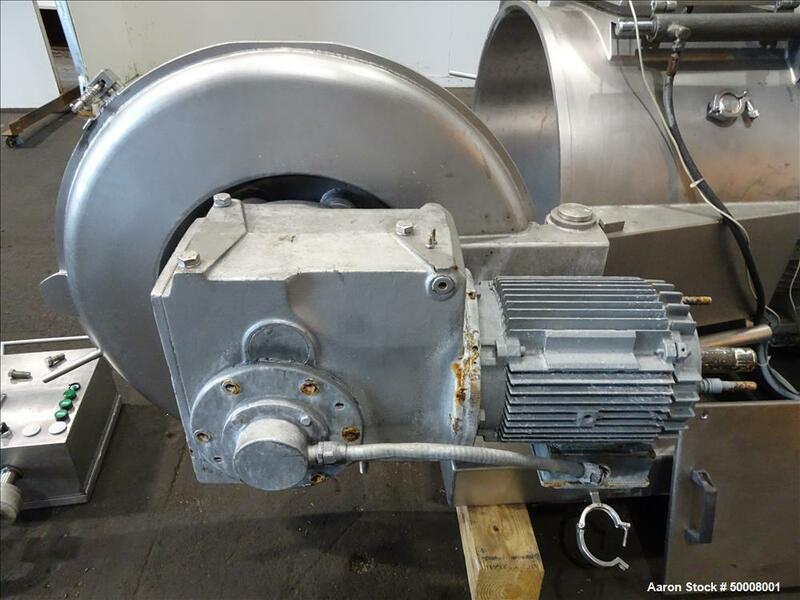 Used- Stephan Machinery TK Combicut Mixer, Model TK-300S, Stainless Steel. 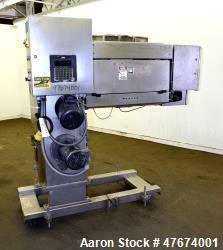 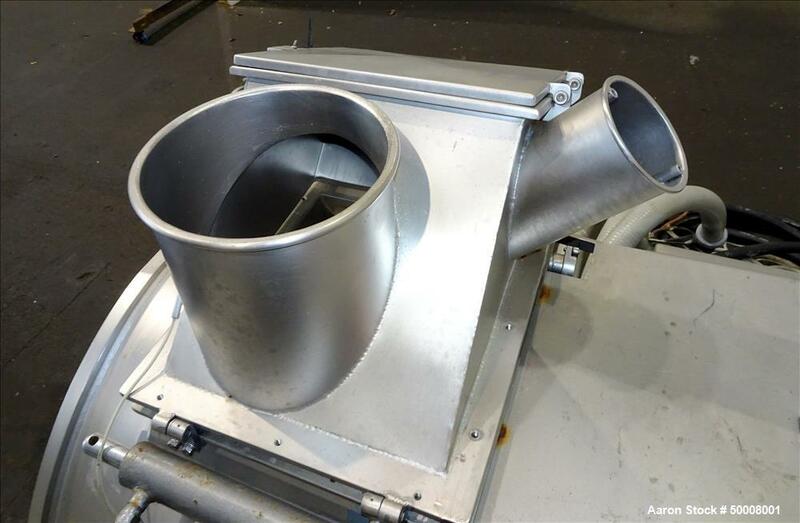 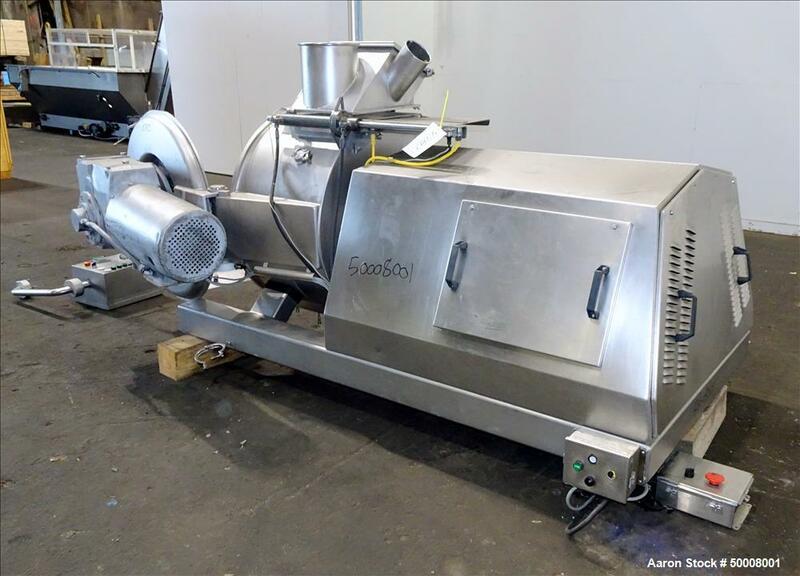 Used- Stephan Machinery TK Combicut Mixer, Model TK 300-S, Stainless Steel. 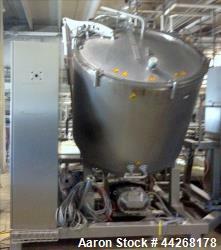 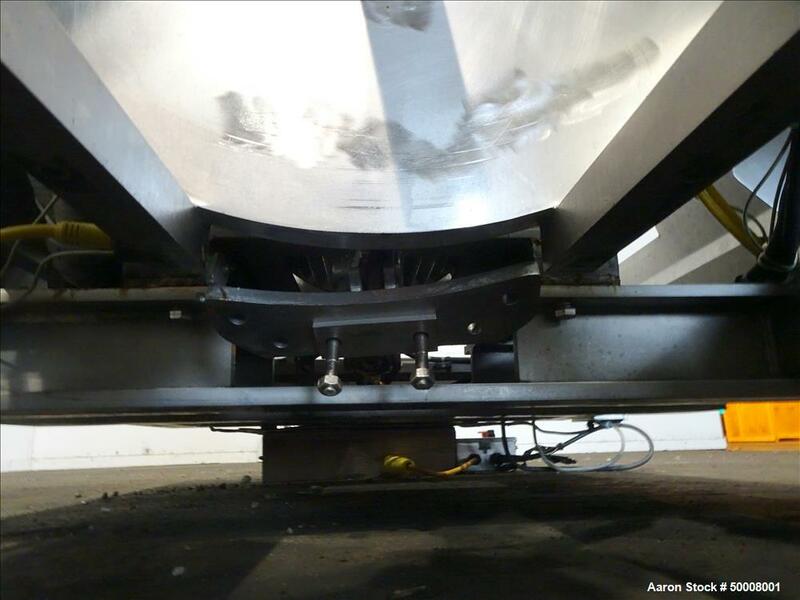 Drum capacity 300 liter, batch size 100-220 liters. 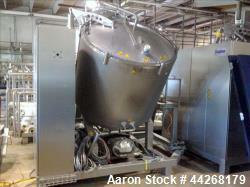 Capacity (dependent on product) up to 1200 liters per hour. 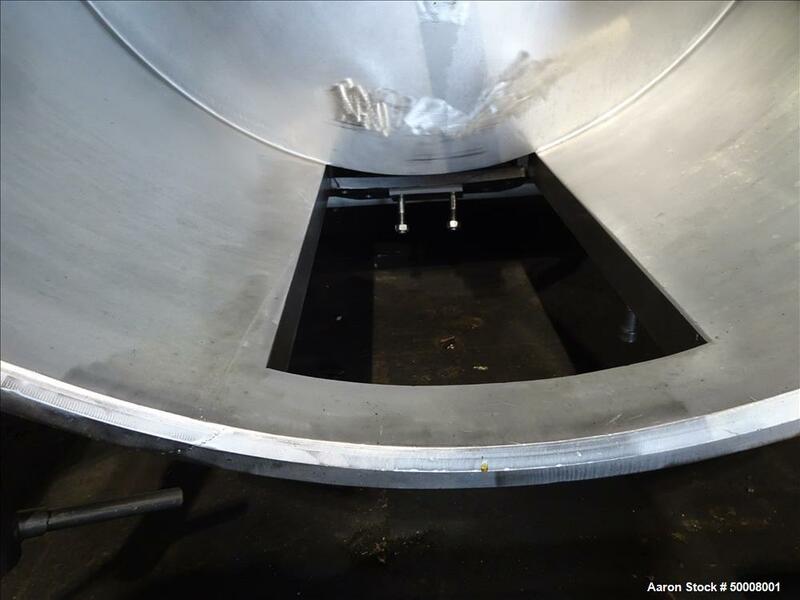 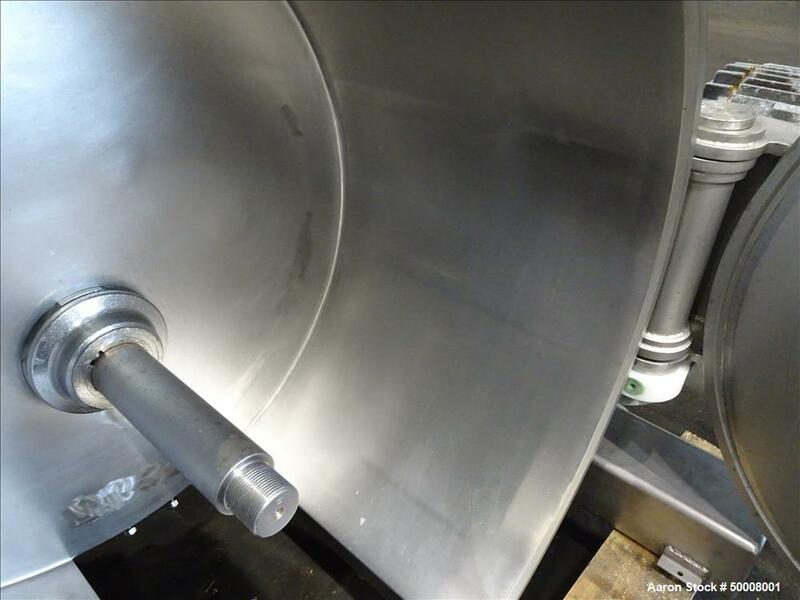 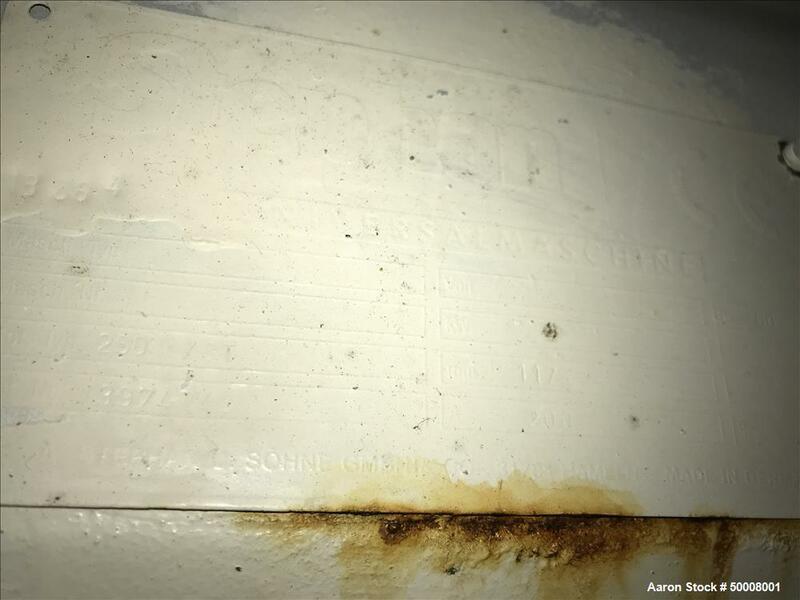 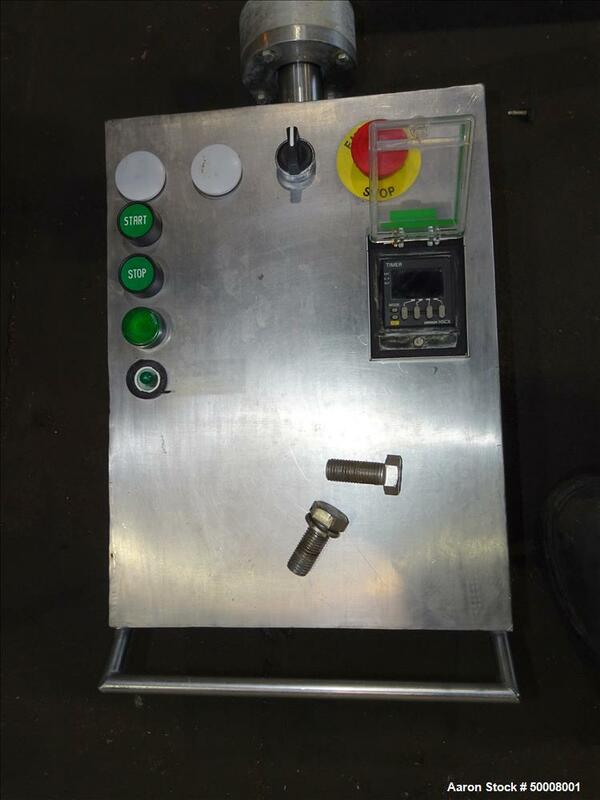 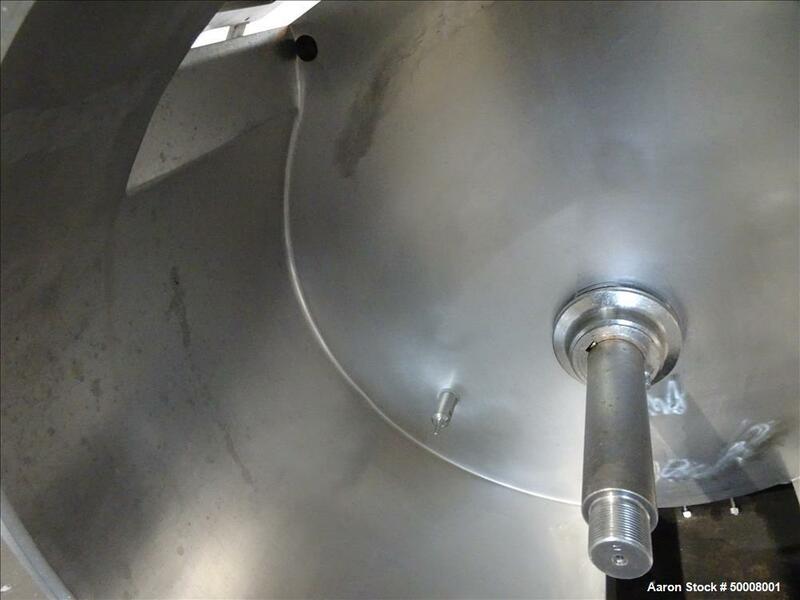 Non jacketed drum approximate 35-1/4" diameter x 20-3/8" deep. 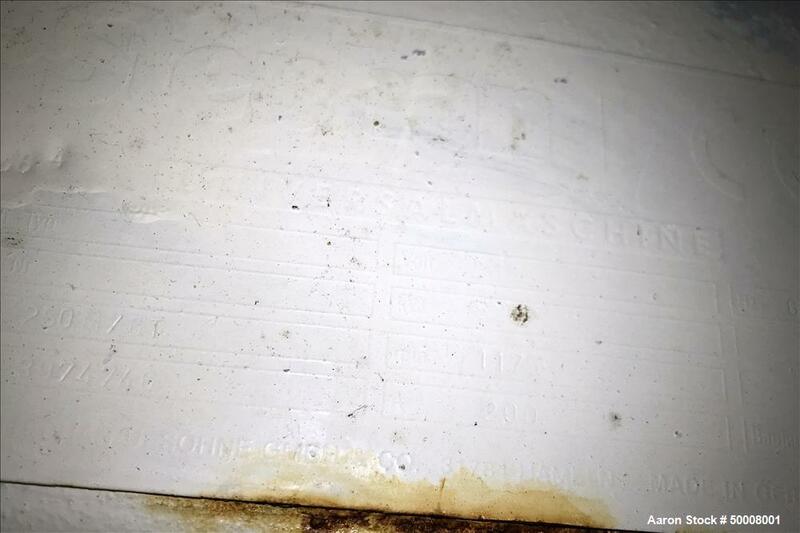 Hinged front door with mixing baffle/scraper blade, missing scraper. 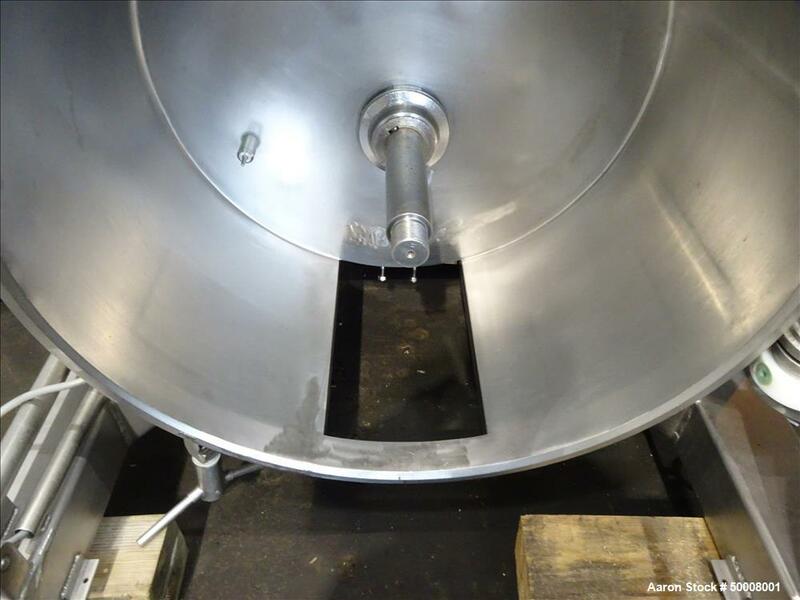 Top mounted ingredients hopper, 18" x 10-3/4" bottom outlet (missing cover). 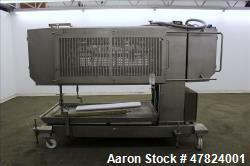 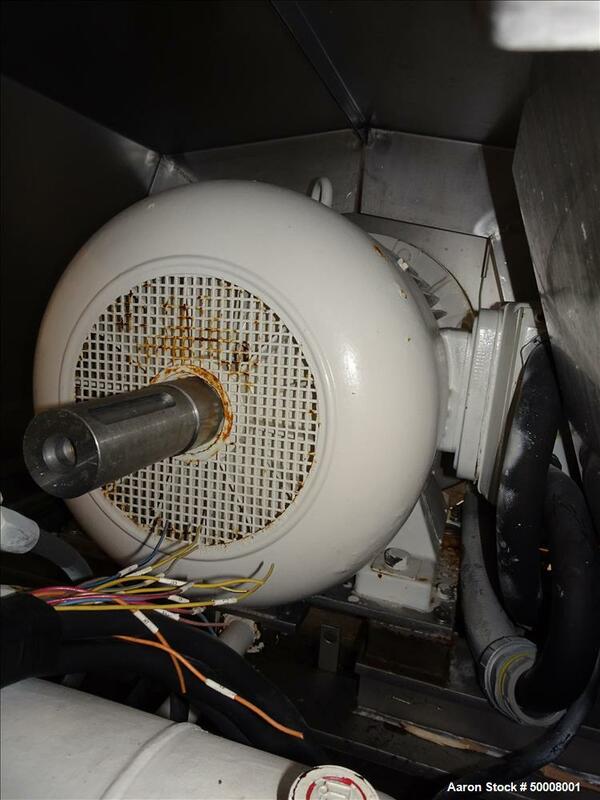 Maximum operating temperature 95 degrees C. Missing knife assembly and discharge cover assembly. 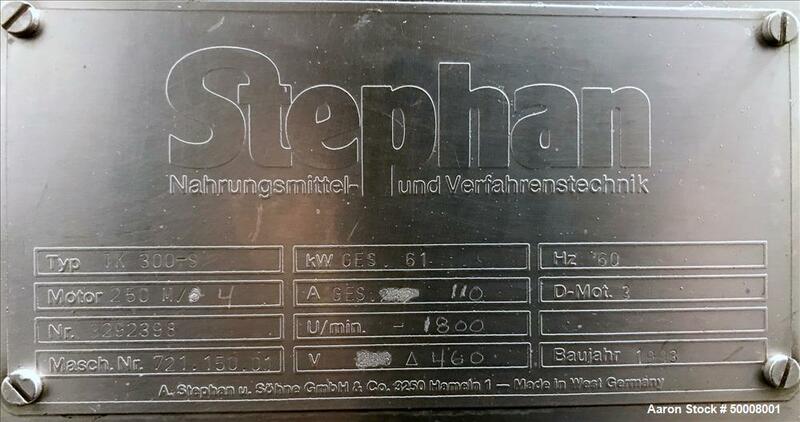 3/60/460 volt. 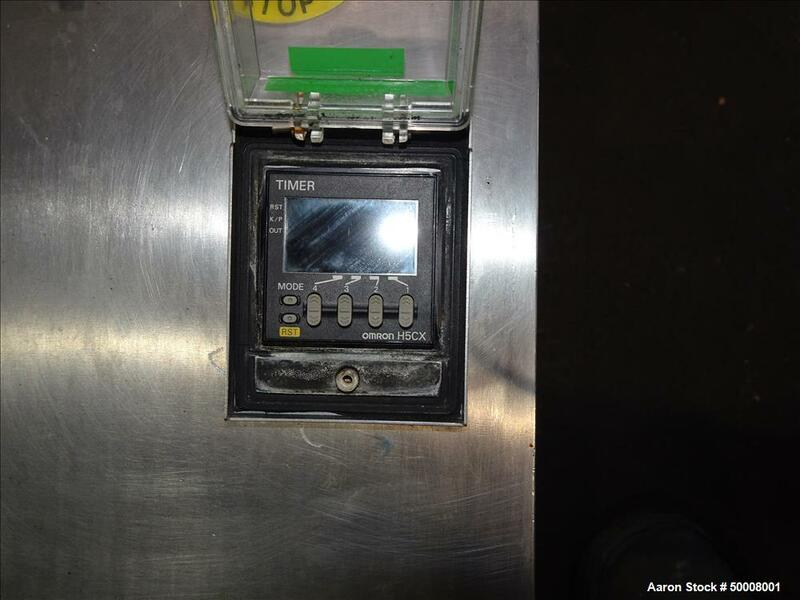 #3292398, Machine# 721.150.01. 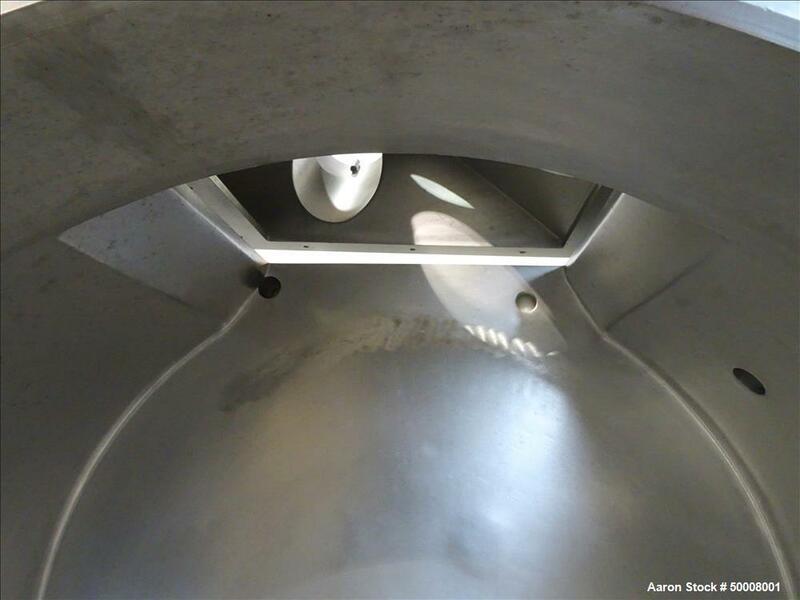 Built 1993.